Seek out the Exploration Update: 1.11 on PC / Mac now! Treasure hunters, rejoice! Update 1.11, aka the Exploration Update, has now made the treacherous journey from snapshot to full release. Our intrepid developers have scaled mighty crags of code, ventured into untamed pre-release territory and battled bugs to bring you wondrous gaming goodies! 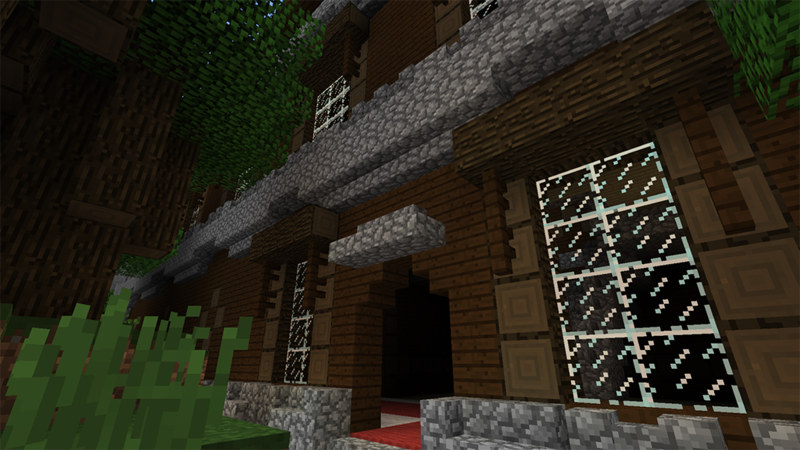 If you haven’t got Minecraft for PC / Mac yet: you can buy it here! It’s fun and gets loads of massive, free updates like this one. Some of these goodies may help you on your own journeys, too. 1.11 introduces the Cartographer, a new type of Villager who will exchange your spare emeralds for a map, marking the spot of certain treasure caches. But these locations won’t give up their bounty so easily! Some maps may point you to mysterious Ocean Monuments, patrolled by spiny Guardians, others to Woodland Mansions - a new location, inhabited by the Villagers’ creepy cousins: the Illagers! These mean and miserly folk do not welcome interlopers: watch out for spells which summon toothsome traps from the floor, or conjure nasty impish foes called Vexes. Survive that, and you’ll find that the Woodland Mansion contains a rather powerful prize: the Totem of Undying. With this trinket to hand, you can face any peril without fear. Fall, and the Totem of Undying will bring you back from the abyss of death itself! Phew! But how will you transport all your amazing loot? Perhaps saddled to a llama! These noble ruminants will form a caravan train that you lead across the land, and can be decked out with snazzy drapes. They’re pretty feisty, too, and chase off menaces with a hail of spitballs. Cool! Also, ew! Cewl? If their inventory is not enough to accommodate your needs, consider packing your chattels into a Shulker Box - a special chest that retains its contents even when knocked down. Handy! There’s loads more to discover! But you’re brave adventurers, right? Find it for yourself! Keen to put 1.11 through its paces? Why not begin your journey in this Lost Civilisation map, made to showcase the features of 1.11 by the cool folk at Blockception? You can download it or play it on Realms!